Pacific Life is moving some money to Bill Gross new firm, Janus, which said the decision pre-dated Gross exit. The firm where Bill Gross made his name is showing support for his latest venture. Pacific Life Insurance Co., the insurer where Pacific Investment Management Co. started as a bond unit in 1971, is moving some money to Gross’s new firm, Janus Capital Group Inc. (JNS) Pacific Life, which said the decision pre-dated Gross’s exit, asked the Securities and Exchange Commission for permission to move certain separate accounts to Janus Aspen Series Balanced Portfolio from the PIMCO Global Multi-Asset Managed Allocation Portfolio, according to filings on Monday. Gross isn’t affiliated with the PIMCO accounts or the Janus Aspen Series Balanced fund. Pacific Life is among several large investors that have moved money from PIMCO in recent weeks. Ford Motor Co., Massachusetts Mutual Life Insurance Co., Alabama’s Treasury, and Florida’s state pension have all reallocated funds after the surprise departure of 70-year-old Gross. Investors rattled by the change pulled a record $23.5 billion in September from the Total Return Fund he ran until he left on Sept. 26. They’re moving money to competing funds, or parking it in money-market funds and exchange-traded funds while they reevaluate. Mark Porterfield, a spokesman for PIMCO, declined to comment on the account changes. Janus shares, which surged a record 43 percent the day the firm announced Gross was joining, climbed 2.2 percent to close at $14.68 in New York. Ford is dropping PIMCO’s Total Return Fund (PTTRX) from the investment options offered to employees, citing Gross’s exit. Effective Nov. 14, the $202 billion PIMCO Total Return Fund will be removed from Ford’s investment lineup, Becky Sanch, a spokeswoman for Dearborn, Michigan-based Ford, said in an e-mail. Participant balances and future contributions will be transferred to the Bond Index Fund, which is invested in a collective investment fund through a unit of BlackRock Inc. and has the same benchmark as the PIMCO fund. Employees can transfer out of the PIMCO fund any time before Nov. 14, she said. “This decision was made after the recent resignation of Bill Gross,” Sanch said. MassMutual is replacing PIMCO Total Return Bond Fund with TCW Group Inc.’s Metropolitan West Asset Management as subadviser to its $1.55 billion MassMutual Select Total Return Bond Fund (MSPGX), effective Oct. 27, according to a supplement to the fund’s prospectus dated yesterday. The fund is also dropping PIMCO from its name. “MassMutual and the Fund’s board of trustees believe this subadviser change is in the best interest of the Fund’s shareholders and arrived at the decision to replace PIMCO with MetWest through MassMutual’s ongoing subadviser research and analysis process,” David Potter, a spokesman for the insurer’s retirement unit, said in an e-mail. The change is only to the one fund, and has “no impact on any other PIMCO-managed investment options available through MassMutual,” he wrote. The $39 billion MetWest Total Return Bond Fund (MWTIX), managed by Tad Rivelle, Stephen Kane and Laird Landmann, has returned 5.5 percent this year, beating 65 percent of peers, according to data compiled by Bloomberg. MassMutual’s investment portfolio stood at $126.5 billion on Dec. 31, according to the annual report from the Springfield, Massachusetts-based insurer. Gross, whose main fund at PIMCO trailed peers since the beginning of 2013, left after his deputies threatened to quit and management debated his ouster, according to people familiar with the matter. PIMCO, the Newport Beach, California-based firm that oversees $1.87 trillion, was started as a unit of the insurer previously known as Pacific Mutual Life Insurance Co. In 1994, PIMCO and four other asset managers owned by Pacific Life did a reverse merger with Thomson Advisory Group LP, in which a closely held company acquires a public company. The combined entity, PIMCO Advisors LP, became publicly traded, a run that ended when Allianz SE completed its acquisition of the money manager in 2000. After Dec. 1, Pacific Life won’t accept new allocation instructions to the PIMCO portfolio, according to the filing. The substitution will occur on or about March 6. The $1.15 billion PIMCO Global Multi-Asset Fund (PGAIX), run by Mihir Worah after his two co-managers left the fund at the end of September, returned 3.8 percent this year, outperforming 92 percent of comparable funds, after losing 8.4 percent in 2013, according to data compiled by Bloomberg. The fund lost 4.9 percent in the past month, dropping to the 15th percentile against peers. The fund, which Gross has never run, was at various times managed by former Chief Executive Officer Mohamed El-Erian and Saumil Parikh, who runs the firm’s cyclical economic forums, was added as a manager. The team shifted in January after El-Erian announced his resignation from PIMCO. Pacific Life is putting money instead into an asset-allocation strategy led by Janus’s Gibson Smith and Marc Pinto. The $1.6 billion Janus Aspen Balanced Portfolio mutual fund advanced 3.6 percent this year, beating 86 percent of peers. The fund surged 20 percent in 2013, outperforming 80 percent of competitors, according to data compiled by Bloomberg. Pacific Life’s website still lists four PIMCO funds as individual options through its variable annuities, including two managed by Worah. The PSF Managed Bond fund still lists Gross as a manager. Gross’s Janus Global Unconstrained Bond Fund (JUCIX), which started in May, has lost 0.3 percent in the past month, outperforming 28 percent of peers, according to data compiled by Bloomberg. The fund received $66.4 million in September, according to Morningstar Inc., and had about $80 million under management at the end of September, the data show. 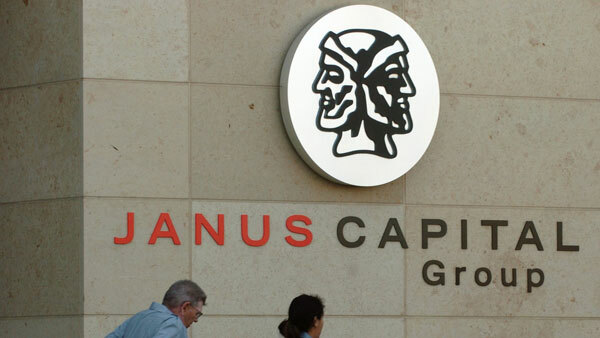 The market anticipated $25 billion to $50 billion in new assets at Janus after Gross joined, which may be “setting up for possible disappointment,” Citigroup Inc.’s William Katz wrote in a report to clients Oct. 3. Alabama’s Treasury liquidated its PIMCO Total Return Fund holdings in the state’s $1.23 billion CollegeCounts 529 plan as of Oct. 1, citing departures of senior investment personnel. The funds were reinvested in the Vanguard Total Bond Market Index Fund, according to a program disclosure statement supplement dated Oct. 1 on its website. The Arkansas Teacher Retirement System terminated PIMCO, including about $472 million in the Total Return Fund, and California’s 529 college-savings plan ScholarShare moved $262 million from Total Return Fund to the TIAA-CREF Bond Plus Fund Institutional Share Class. Florida’s State Board of Administration decided Oct. 7 to “significantly” reduce the $1.9 billion that its pension invested with PIMCO, and to withdraw more than $1 billion that PIMCO manages for the 401(k)-style program it offers workers.